JEE Advanced 2018 registration to begin from May 2, exam scheme and other details: The official notification/information brochure for the Joint Entrance Examination (JEE) 2018 has been released on January 26, at the official website – jeeadv.ac.in. The exam is scheduled to be conducted on May 20, Sunday in computer based test mode. Through JEE, admission will be provided into undergraduate courses, which will help in obtaining a bachelor’s, integrated master’s or bachelor-master dual degree in engineering, sciences or architecture. The exam will be conducted will be conducted by the seven zonal coordinating IITs. The Joint Entrance Examination (JEE) Advanced 2019 will be held May 27. This year, Indian Institute of Technology (IIT) Roorkee, under the guidance of JAB, will conduct the exam. Since last year, the exam is held in computer-based mode. Aspirants can attempt JEE (Advanced) a maximum of two times in two consecutive years. The registration process begins usually in May, after the declaration of JEE Main result. There will be two compulsory papers (paper 1 and paper 2) of 3 hours duration each. Joint Entrance Examination (JEE) Advanced 2019 for admission to unergraduate, integrated master’s or bachelor-master dual degree programme in engineering science and architecture will be conducted on May 27, according to information released by exam convener. Registration for JEE Advanced 2019 will begin on May 1 through the official JEE website, www.jeeadv.ac.in. The date of the exam will be Sunday, May 27, 2019, with paper one held from 9 am to 12 noon and paper two from 2 pm to 5 pm. Also, this year the IIT council has decided to improve the gender balance in the undergraduate programmes at the IITs from the current (approximately) 8 per cent to 14 per cent in 2019-20. For this purpose, supernumerary seats specifically for female candidates will be offered. Aspirants should have passed class 12 (or equivalent) examination for the first time in either 2018 or 2019. They should be among the top 2,24,000 (including all categories) in paper-1 of JEE (Main) 2019. Age limit: Aspirants should have been born on or after October 1, 1994. Relaxation in age will be given as per the norms. Candidates should be among the top 2,24,000 (including all categories) in Paper-1 of JEE Main 2019. Candidates to be shortlisted are: 27% for OBC-NCL, 15% for SC, 7.5% for ST. About 50.5% is open for all candidates. Within each of these four categories, 5% horizontal reservation is available for PwD candidates. Candidates should have been born on or after October 1, 1994. SC, ST and PwD candidates get five-year relaxation so they should be born on or after October 1, 1989. A candidate can attempt JEE Advanced a maximum of two times in two consecutive years. A candidate should have appeared for the Class 12 (or equivalent) examination for the first time in either 2018 or 2019. 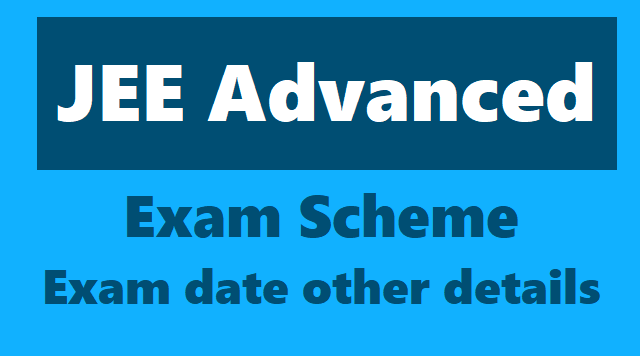 If the Class 12 (or equivalent) results for this academic year have been released after June then the candidates of that board who appeared for the Class 12 exam in will also be eligible for JEE Advanced 2019, provided they meet other eligibility criteria. In case the Class 12 examination (or equivalent) results were declared for the academic year before June but the result of a particular candidate was withheld, then the candidate will not be eligible to appear in JEE Advanced 2019. Candidates should not have been admitted to an IIT, irrespective of whether or not they continued studies at the IIT or accepted an IIT seat by reporting at a reporting centre in the past. Candidates whose admission at IITs was cancelled after they joined at IIT are also not eligible to appear in JEE Advanced 2019. Candidates who have been admitted to a preparatory course in any of the IITs for the first time can appear in JEE (Advanced) 2019. The candidates who paid seat acceptance fee but (i) did not report at any reporting centre or, (ii) withdrew before the last round of seat allotment, or (iii) had their seat cancelled (for whatever reason) before the last round of seat allotment for IITs, during the joint seat allocation, are eligible to appear in JEE (Advanced) 2019. However, in any of the above cases, the candidate is required to fulfil the conditions mentioned from Criterion 1 to Criterion 4. Aspirants can attempt JEE (Advanced) a maximum of two times in two consecutive years. Registration for JEE Advanced is only through the online registration portal, www.jeeadv.ac.in. Online registration will begin on May 1, 2018 at 10 am and will close on May 7, 2019 at 5 pm. Last date for fee payment for registered candidates is May 8, up to 5 pm. Steps 1. Go to the JEE Advanced registration portal, www.jeeadv.ac.in. Steps 2. After login, provide the basic data and the choices of the cities for the examination. All the correspondence regarding JEE (Advanced) 2018 will be sent to the registered mobile number by SMS and/or to the registered email id by email. Step 4. Pay registration fee (it is neither refundable nor transferable).